I am lucky I get to use that word pretty frequently. I even apply that term to my people outside of the cycling community. ‘Teammate’ is a very valuable name for one to be referred as. It is a special bond that surpasses the cozy and safe features of a friendship, or a romance, or a family member. There can be affection and support, but there will also be prickly days and tough love. It is a voluntary relationship forged on the drive to reach a common goal for an individual and for their team, and doing so by a common activity. I know for many others and myself, that goal is success and that activity is cycling. Teammates aren’t your best friends, but they can be. They might not be the people you hang out with, but they can be. They are the people you get through workouts with. They are the people that are also tired and cold and still holding out in a storm on a particularly rainy day in the saddle. They are the person that puts their hand on your back and pushes you up that hill. They are the people who stand next to you at the starting line of a race, thinking about roughly the same thing. Strategizing, planning re-fueling points, marking up riders to keep an eye on, and visualizing the last 200m of the race. They are the person you might be angry and jealous at as they effortlessly get through an interval or climb while you’ve drained yourself and yielded no progress. They will definitely be the person provoking you to go harder when you’re tired and want to give up. You might even snap at them. I recommend you don’t. They are the people you collapse on the ground with after the race, either feeling elated or like there’s a vice clamping your guts. They understand when and why you’re upset or on top of the world. They are the only people that know what it’s like to hop on a bike, shoulder a barbell, start a timer, and go for it. A good day for me may be the worst day ever for my teammate, and we are able to understand each other in that same moment. Collegiate racing is a whole other animal within competitive sports. Firstly, students already balance a mass of responsibilities. Classes (some can be terribly difficult), homework, jobs, studying abroad, taking advantage of internships, taking care of family, being a good friend, maintaining a relationship, taking care of our own selves, the list goes on. Cycling is one of the most time consuming sports, especially the further up you move in the ranks. Category C racers tackle about 25 miles, while Category A races about 60-80. Hence the time spent on training rides ranges from a single hour to over 4 hours. Not to mention the time it takes to stretch after a ride, clean the bike, and keep up with proper maintenance. What do you do in 4 hours? Some riders even supplement their cycling with gym workouts and cross training. Having people that live that similar lifestyle, who triage their lives on a daily basis and prioritize this sport is sometimes all you need as motivation to go on that long ride, or get the most out of an hour of homework time. I guess what it comes down to is this: competitive cyclists are truly crazy, and it’s good to have people around that share that same type of crazy. Who else is willing to ride 100+ miles (for fun), throw down anaerobic sprint repeats, crank out a 6am weight lifting session, and bundle up when the weather is gnarly? Or satisfied with making personal sacrifices to attain sought out results in a race or goal? How about waking up in the morning with an itch to turn their cranks up a mountain and then listen to the mechanical purr of the hub spin on a decent? The people that understand even when the gears on my bike stop turning, the gears in my mind continue to spin; thinking about training, upcoming races, and results. Seeing familiar faces, weary with sleep after being brutally awoken for a morning session, or bright-eyed and laughing because it’s a warm August day and the sun never felt so delicious, is a reminder that we want the same things. The days we sat on the floor of a homestay or in a rental van, glad we had someone to share that space with. I can’t emphasize how grateful I am for this particular and weird relationship that I share with quite a few people in this incredible sport. My teammates. Thank you for pacing me during intervals that one Thursday. Thank you for holding my helmet when I was blundering to zip my kit because I was nervous. Thank you for agreeing to take the long way back home. Thank you for riding with me. 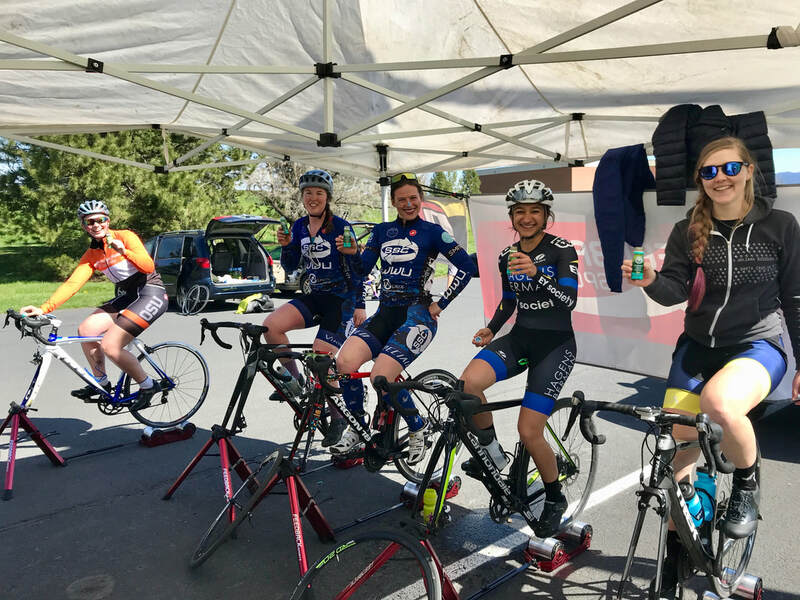 ​I got to talk to Cassie Cardoza (Dickerson) about how the women she races with inspire her, what its like to be a female bike mechanic in a male dominated industry, and why it is important to her that her husband also rides and races. Oh, and why Slim Jims are the best gas station ride food option. It all started when Cassie’s mom asked Cassie to do a triathlon with her. Running and swimming? Nah. She was not into it. But bikes. Cassie was hooked on bikes. 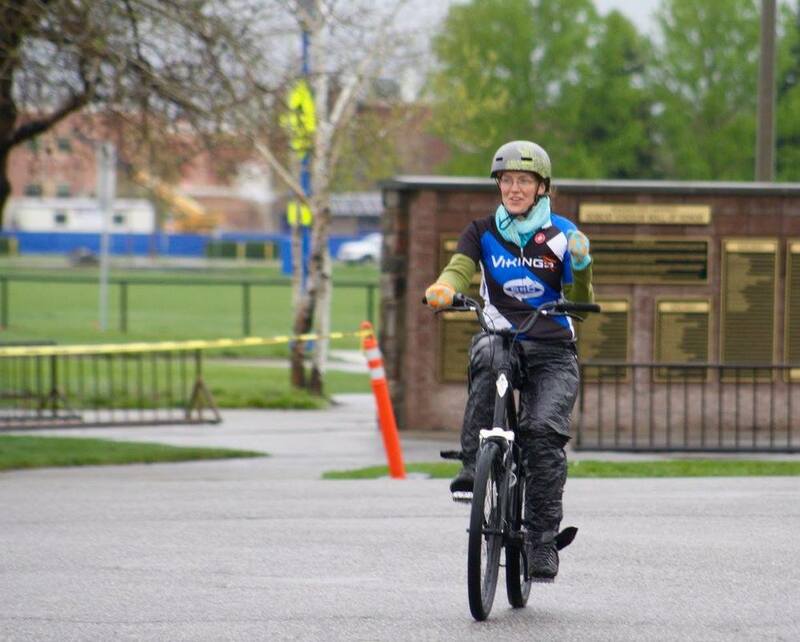 Cassie raced for two teams during her time at the NWCCC – CWU and MSU. 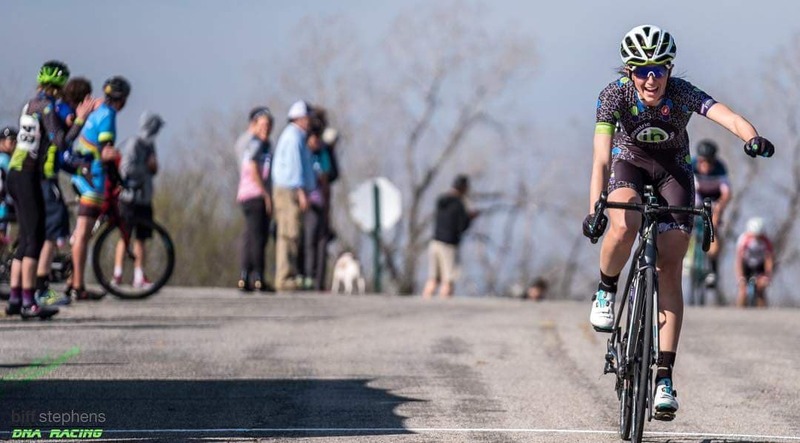 Now living in Tulsa, Cassie teaches K-5 music, is a part time bike mechanic at City Cycles in Jenks, OK, is a full time dog mom to 2 Australian Shepherds, and races for Team Isocentric. Check out our entire conversation in the podcast below! BTW, Cassie is an amazing cello player! Check out her Soundcloud here! ​We are now on Itunes! Check us out, rate us, and give us a review! We also have Instagram accounts! 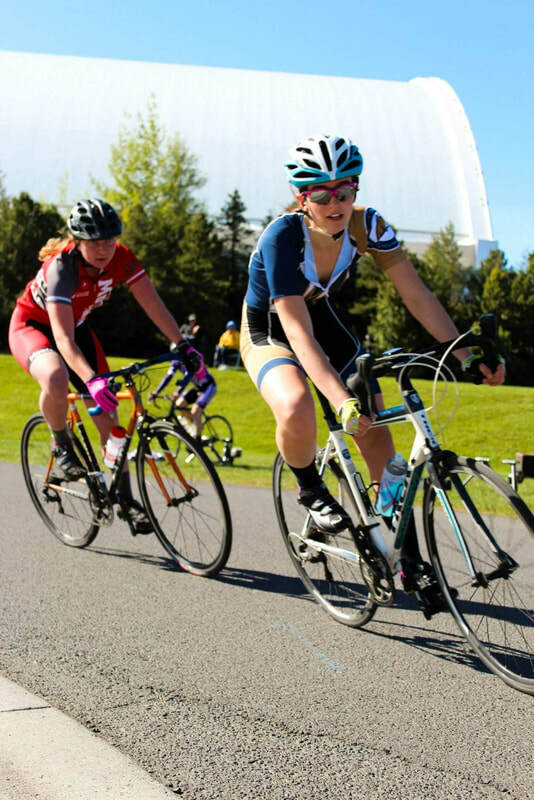 ​I got to talk with Kimberly Johnson – Seattle Pacific University Cycling/NWCCC Alumnus – about how she started the SPU Cycling Team and about her time racing on the Kowalski’s Collegiate All-Stars Team and as a domestic elite racer! Many collegiate riders dream of someday racing at a domestic elite level. Some collegiate riders are lucky enough to get the break that takes them in that direction. Kimberley was one of those riders, racing 5 years as a domestic elite racer on various teams including Kowalski’s Collegiate All-Stars Team, Birchwood Cycling, Naked Women’s Racing, and Cloud Racing p/b Ride to Recover. 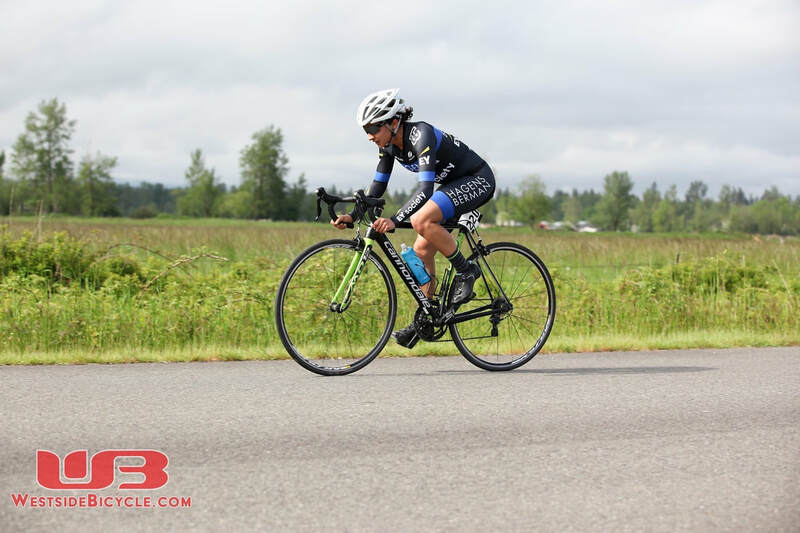 In my recent interview with Kimberley we talked about her experience getting into racing as a Junior on the team B.Y.R.D.S, racing as a domestic elite racer, recovering from a major injury, and the advice she would give her younger racer self. ​Podcast Note: After some research, it does not look like the Collegiate All Star Program still exists. Currently, USAC has a Academic All Star Program, that can be found here. We are now on Itunes! Check us out, rate us, and give us a review! Sophie Andrews of U of O and I talk about collegiate racing, moving up to the 1/2s, the female athlete triad, and eating disorders. A few weeks ago I was on Instagram taking a look at those Insta stories, when I came across Sophie’s story. Over the course of a few posts, Sophie shared with the world her relationship with food and how disorder eating impacted her as an athlete. I immediately messaged her to thank her for sharing her story and ask if she would be willing to talk about it more in an interview. I am so happy she said yes! And that I can bring you this episode of Women of the NWCCC. There is a lot of stigma around disorder eating and the the relationship between female athletes and food. There are also a lot of misunderstandings out there about what it means to be healthy as an athlete. In this episode, Sophie, and myself, share our stories with disorder eating and how our relationship with food impacted us as athletes. We both want to encourage others to keep this conversation going. We want other women to know that they are not alone. We want to be here for you if you want to talk with us because we both feel that stories like ours are not shared or talked about enough. And we want to let the world know that while eating disorders were a part of our lives, they do not define who we are women or who we are as athletes. In the light of sharing experiences, I also wanted share the stories of two female athletes who experienced eating disorders that inspired me: Dotsie Bausch and Jessie Diggins. Dotsie Bausch is well known in the cycling world for winning silver at the 2012 London Olympics in the team pursuit. Jessie Diggins just won gold in the 2018 Pyeongchang Winter Olympics in the cross country team sprint. You can hear Dotsie’s interview with Rich Roll here. You can read Jessie’s essay here. Meet Anna, Kate, and Rachel! I got to chat with the ladies of Western Washington University. And what did we talk about? Well bikes of course! Mountain bikes, road bikes, women on bikes. We talked about it all. Take a listen! 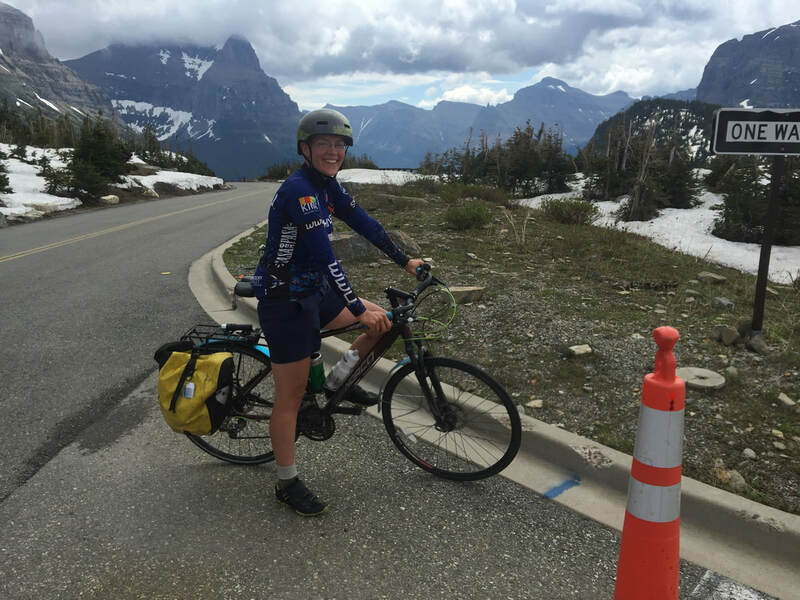 Our podcast is back, kicking it off with Whitman Cycling alumnus Becca Mellema! I met Becca for the first time this year as she made her way back to racing through the Pacific Northwest Women’s Series. In her interview we talked about how she got into racing bikes, the women that kept her going, collegiate nationals, and fish primes! After the interview, Becca sent me the race report she wrote up after winning her first women’s A crit in 2015 (in her first crit as an A!). It’s a great read and a perfect insight into the thought processes we have during races. Check it out here. 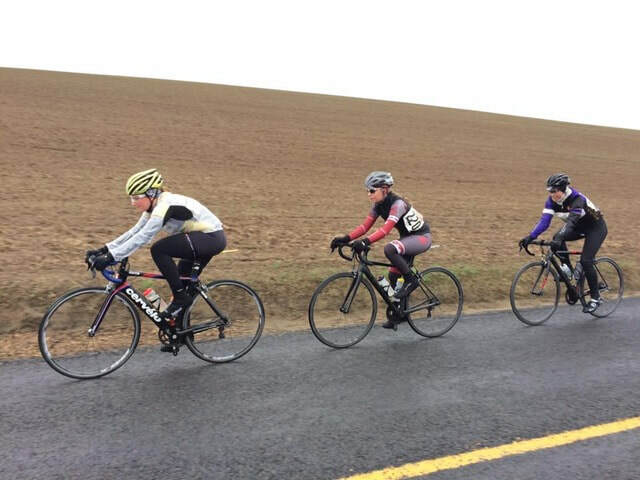 Side note: the UBC rider she mentions in her report – Margot Clyne, who now races for Twenty20! We all start somewhere. And great riders often start here in collegiate. Post interview note from Becca: “Also, I think we went off topic before I could tell you, but I wanted to let you know that I raced with Dessie and Mackenzie Stanley as a women’s A (for both the team and at nationals.) I feel really bad that I wasn’t able to mention Mackenzie! Hey everyone! Sorry that this is SO LATE! But better late than never! 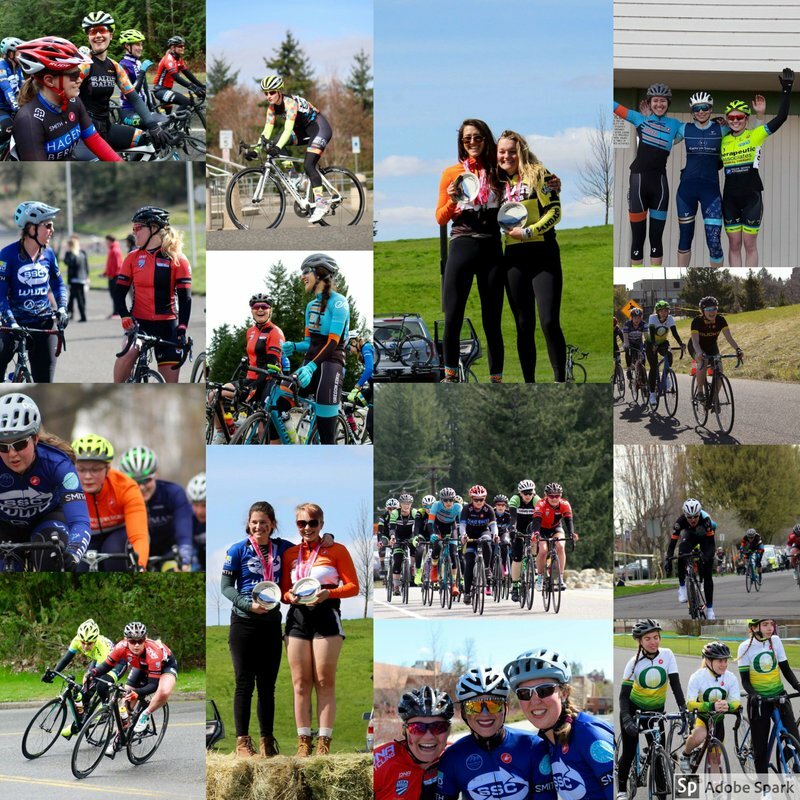 Check out the link below for a recap on the 2018 Pacific Northwest Women’s Series! One day I was late and got in big trouble for riding home after sunset. My dad said if I had LIGHTS on my bike that would be fine. It revolutionized my life! Race season is JUST AROUND THE CORNER! Our conference director sent out the annual roster, race directors are finalizing details for the races, and everyone is getting flashbacks to long car drives on Friday and Sunday afternoons! As the season begins we will keep you up to date with the happenings of the women in the NWCCC – from results, to stories, to interviews – here and on our Facebook Page. Check out Lilian’s interview below and our first ever episode of Women of the NWCCC: The Podcast! How did you get into racing/riding bikes? I was 13. I had a horse and a grumpy older brother. If I rode my bike to school and then to my horse, I wouldn’t have to get my brother to give me a ride the 2 miles from the barn to home. One day I was late and got in big trouble for riding home after sunset. My dad said if I had LIGHTS on my bike that would be fine. It revolutionized my life! When/why did you start racing bikes? ​What is your favorite memory from racing in the NWCCC? Sprinting against Fiona for crit primes my second year because we were so well matched and competitive but also good friends. It just felt *fun* when a lot of bike racing can be high tension or thinking a lot of strategy or feeling like you should treat your opponents like enemies of a sort. Does your bike(s) have a name? Is there a theme? Reddy, because she’s red, and Lulubelle, because she’s a classy older lady. The Tandem hasn’t told me her name yet. I called the recumbent Shorty, and the Townie cruiser I bought to recover from a shoulder injury was named Race Machine (yes I raced on it, in Montana!). Lots of people stick Shot Blocks to the wide top tubes of their modern racing bicycles. My first year racing was on my 1980s racing bicycle with down tube shifters, new cotton bar tape, the whole works (but she was lightweight at least!). The steel top tube was too skinny for Shot Blocks, but Trader Joe’s Scandinavian Swimmers were thin enough to tuck between the brake housing and the top tube. It’s hard to eat AND breathe AND race, so I later switched to liquids only (diluted Mountain Dew), but those swimmers sure brought me joy! Thank you, Lilian, for sharing! 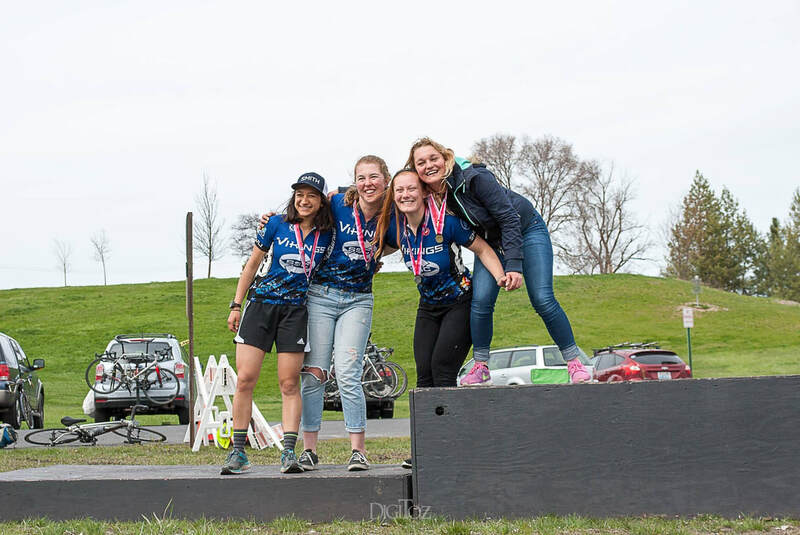 If you have not already seen the link to our registration page of the Pacific Northwest Women’s Series, here it is! ​Finding a way to continue racing bikes after college can be confusing, but it is possible! You find yourself asking questions like: “do I need to be super serious about the sport?”, “do I have to be ‘chosen’ or ‘good enough’?”, “how do I find a team to race for, or do I even need a team at all?”, “will it be the same as it was in college?”. The answers to all the questions vary from person to person. I have seen the women I raced with in college continue racing in so many ways. Every racer’s journey is different. 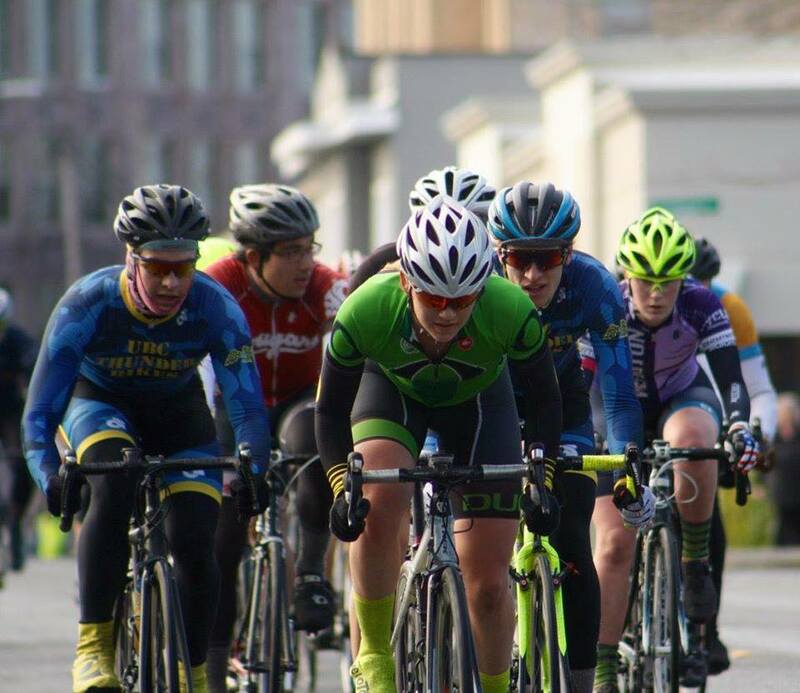 After racing the 2017 collegiate season, NWCCC Alumni Rachel Thody had to say goodbye to collegiate cycling, but for her that did not mean saying goodbye to racing. 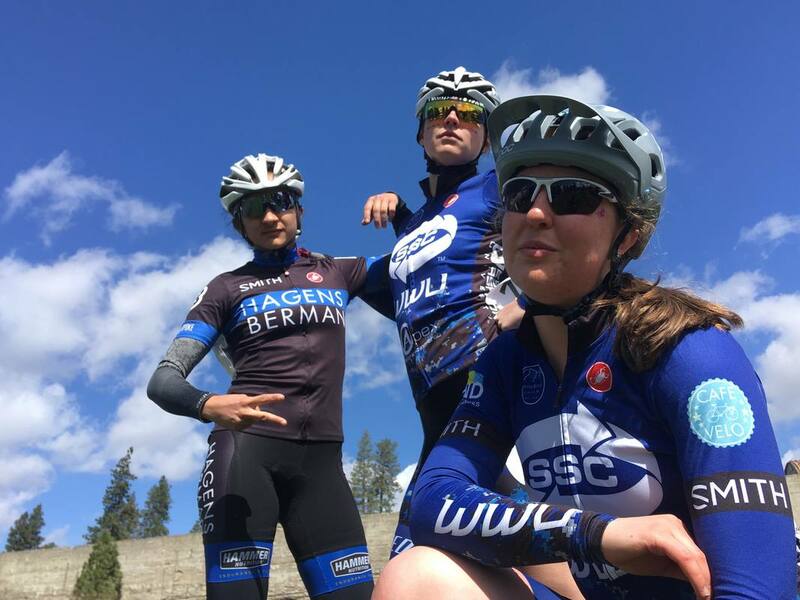 That summer she joined the Seattle based team Hagens Berman to continue her racing journey. In this interview, Rachel tells us how she did it. How did you get into riding/racing bikes? Living in Wenatchee, I watched Tour de Bloom every spring and I was really interested, but there weren’t any opportunities for a 9 year old girl to join a bike team and race. Then I started riding mountain bikes when I was in high school. I would borrow my brother’s old 2004 Specialized Enduro (too big for me and the breaks didn’t really work), go out in the Wenatchee and Leavenworth trails alone or with my dog, and I loved every moment of it. 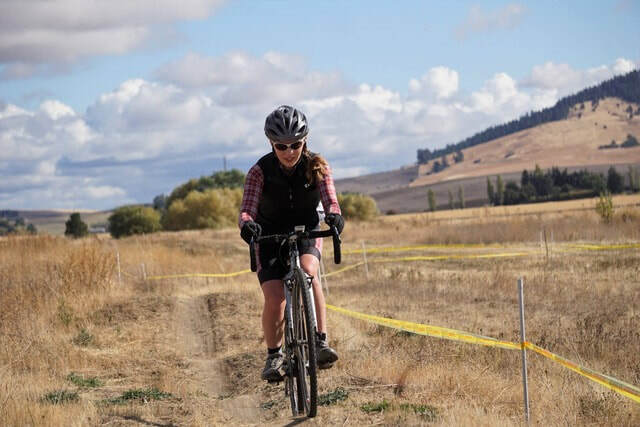 When I went to WWU, armed with my own bike, I wanted to join the mtb team to race cross country or enduro, but only the road team had a racing structure. I joined that team, and just took off from there. The team was strong and supportive and race weekends were the highlight of my year. I’m still looking to race mtb when the opportunity comes around, but for now, I’m as happy as can be on my beloved road bike. What is your favorite memory from racing in the NWCCC? Oh man, there are too many. The carpooling was fun, I got to know my close friends though being stuck in a car together for hours and hours. Cooking (they always kicked me out of the kitchen because I can’t so much as scramble eggs or stir oatmeal without making a mess or burning stuff) and eating meals together like a chaotic family. Reuniting with friends from other schools every weekend. Off the top of my head, I remember Kate Berreman and I sprawled in the back of a rental minivan on a sunny day, eating everything possible since we had just finished our crit at Whitman. Still half-dressed in sweaty kit, cheering on our teammates from our spot, and feeling really content. My legs were tingly from the lactic acid burn, but it wasn’t anything leftover birthday cake and cold coffee couldn’t fix. Which NWCCC race is your favorite and why? Criteriums are my favorite, I liked the location of Western’s home crit. Being in town feels like a real crit, lots of spectators, and it was a 26 second walk from Café Velo who gave us doughnuts. UW’s road race this year was really nice, I remember enjoying the scenery and the hills weren’t so bad. 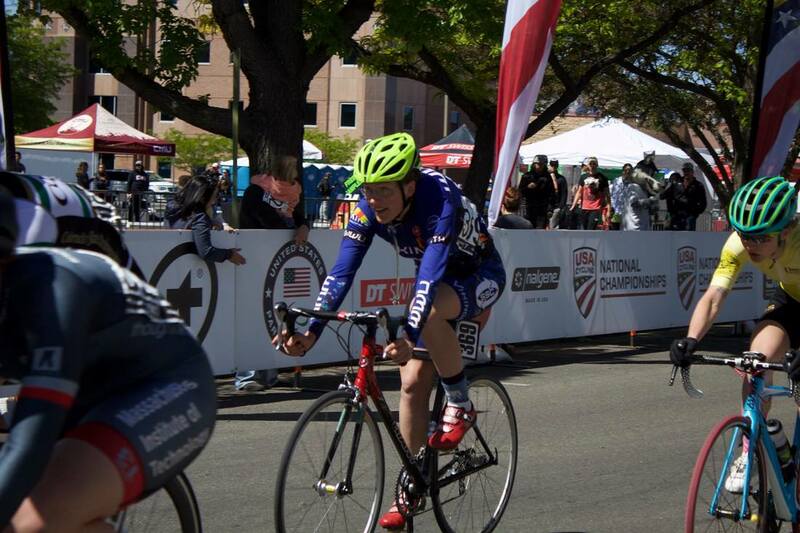 Outside of collegiate racing, you race for Hagens Berman EY. What led you to start amateur racing? After my first race weekend with Western, I was hooked and thought to myself “Yeah, this something I want to do for a very long time, and I want to see how far I can go”. The collegiate scene is awesome in so many ways, and racing amateur is similar but provides the opportunity to be more competitive and go further. I’m racing against people who are way more experienced and seasoned which makes it that much more challenging. The collegiate season is so short; being part of an amateur team extended my season and keeps me busy throughout the year. Finding an amateur race team can be difficult and overwhelming since there can be so many different types of teams to choose from! How did you find your team? I started by doing research like any good student, through Google, and then the WSBA website, and talked to people at bike shops and my own teammates. It’s about filtering all the teams to what you want. Some are just men’s teams, some are just for Cat 1-2 and 3, some are more competitive than others, etc. I went to the ‘Meet the Team Ride’ in Seattle, early October, where all the teams rode together. It was great, everyone was excited to meet the new people and tell you a bit about their team dynamic. I chose Hagens Berman EY because a couple people I know raced for them when they were in college and said good things about it. Also, I joined when I was 20, making me the youngest rider in any team by almost 10 years, but Hagens Berman EY had a few people that were in their mid-20’s. I wanted to have teammates to race with that were around my same physical level and experience, so that was a deciding factor. Hopefully more people join different teams so age-factor won’t be an influence in choosing a good team. How was the transition from collegiate racing to amateur racing? Not bad at all. I missed being surrounded be my friends from college that I’ve known for two years, but everyone at HBEY was welcoming and really nice. The mentality is a little different. Both collegiate and amateur racing has a mix of people doing it for fun and for intense competition. Collegiate is more goofy, I have lots of memories of laughing so much at race weekends because everyone is messing around, pulling pranks, some not taking their racing seriously at all, and lots of heckling. Amateur is still entertaining, but people chose to join committed teams for the sake of racing so it is mostly about the race. It is the same kind fun, people are yelling at their friends from other teams, joking about how ‘aero’ their bike set-up is, post-race dinners and drinks to celebrate just being out there. Race-wise, there is more structure and formality in racing amateur. Teams have enough riders in each category to make tactics happen and everyone is experienced and knows how to ride together as a whole. 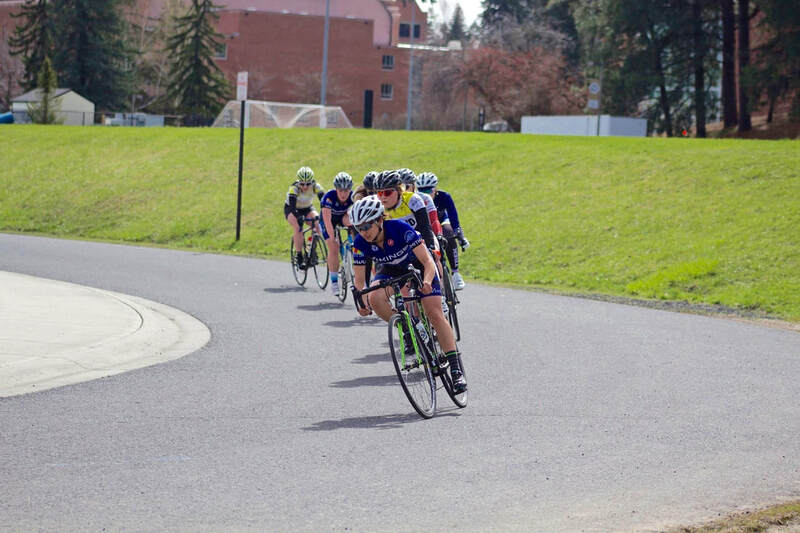 What advice would you give a collegiate racer thinking about trying amateur racing? If you like racing even just a bit, then I highly recommend signing up. You can take it as far as you want. You can sandbag as a cat 4 your whole life, or you can use it as a steppingstone before going pro. Just find a team that suites you and you’ll surround yourself with teammates that have similar goals. It’s also a good opportunity to try other disciplines of cycling like track, mountain bike, and cyclocross. In every sport I’ve done, love everything about racing: the rigors of training, the ups and downs of performances, recovering and reflecting, seeing progress, and suffering bad in the middle of a race. During my time as a runner, I assumed that was my sport, but it was missing something I couldn’t identify. When I started racing bikes, I realized running was missing the thrill and physical demand you can only find on two wheels. Chasing or initiating a breakaway, racing distances of 40 miles or more, getting out of the saddle on a climb when I really don’t want to, hurdling down descents a little too fast, the final 200meter sprint when tunnel vision kicks in and all I see is the finish line, I could go on and on. Landing on the podium is awesome too, but it’s how I feel during the race that draws me to it (which is weird because during a race I’m tired, hungry, and muscles are aching, that doesn’t sound like a lot of fun but it is). Sometimes it’s difficult to keep myself accountable in training since I am burned out from school, working, studying, and mental hurdles, but if I’m not doing it then I don’t feel right. So long as I’m pushing myself a little further every training session, driving my physical capacities to their max in every race, and getting stronger, I’m doing what I love. What does women’s racing mean to you? To me, it means being an athlete and being a woman. It’s not an unusual concept or an unfamiliar role for a woman to fill. It means being an athlete, plain and simple as that. Putting in the time, clocking in the pain points, going out there alone or with a team, and living in the pain cave during a race. That kind of work isn’t particular to being a woman, its universal in anyone willing to train and test their physical abilities. Women’s racing is just a category so we don’t get scored men’s, but it doesn’t make our passion for the sport, the training, or race efforts any different. It shouldn’t mean courses become drastically altered, and less credit given to a women’s team despite the same amount of work and dedication put into a race as the guys. Final question: Favorite on-the-bike food? Any type of energy chew. The more caffeine, sugar, and electrolytes the better, it goes right into the bloodstream and has saved me from bonking. ​Thank you Rachel for sharing! One of my favorite memories from NWCCC racing was when the start of the women’s race was delayed due to a cattle drive occupying the road! If you had to choose only one type of riding, which would it be: Cross, Mountain, or Road? Why? If I had to choose one, it would be road cycling because it is so dynamic. 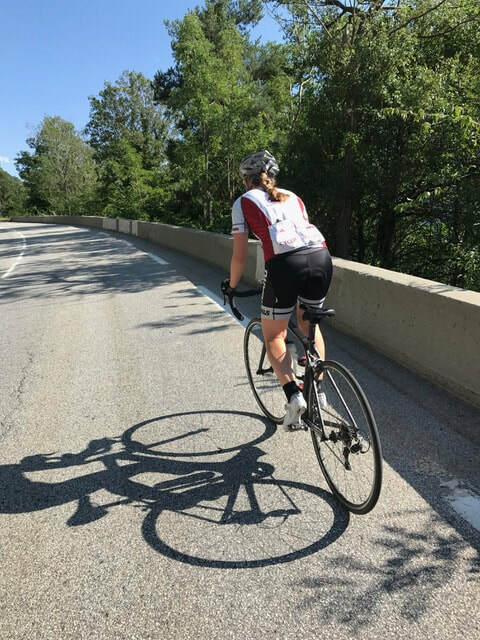 Road cycling offers such an opportunity for discovering new places, pushing yourself, and experiencing different types of riding, be is fast and flat, or climbing beautiful mountains. For me, road racing is also so fun and interesting because of the camaraderie, rider dynamics, and challenges. After my first year of college, and riding horses for 15 years, I decided I needed a new, somewhat less expensive sport and decided on cycling! Both my parents had done some road cycling, so I had a little introduction. In the fall of my sophomore year I joined the WSU cycling club, and after some riding that year (and convincing!) I did my first two collegiate race weekends in the spring. It was a blast! Since then, I have done more road racing, as well as cyclocross. One of my favorite memories from NWCCC racing was when the start of the women’s race was delayed due to a cattle drive occupying the road! Also, anything silly Miles has ever done! At a time in cycling when participation seems to waning, women’s racing and cycling is particularly important. 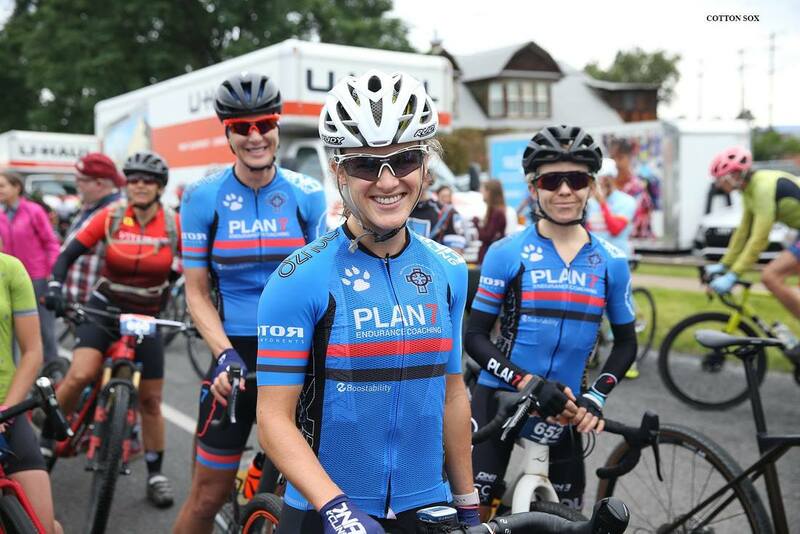 To me, women’s cycling is empowering, and provides women with a supportive environment where we can be ourselves, be competitive, and have fun. Especially during college, which can be so taxing at times, cycling and the other women offer an outlet and a reassurance of our strength and capabilities. I race bikes to have fun, be a little competitive and to push myself. Having the goal of a race motivates me to train just a little bit harder than I might otherwise, and it pushes me to dig deep. During a race you can really get a feeling for your strength, and although it doesn’t always go how you might want, it is really fun when you surprise yourself and feel like you accomplished a goal! Not to mention, collegiate racing is so much fun. The people are great, and despite the long drives and sometimes terrible weather, I am always ready to do it again!